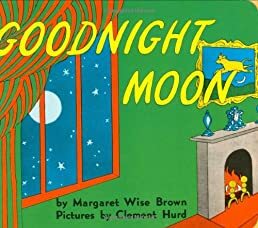 Goodnight Moon | Your #1 Source for Kindle eBooks from the Amazon Kindle Store! Perhaps the perfect children's bedtime book, Goodnight Moon is a short poem of goodnight wishes from a young rabbit preparing for–or attempting to postpone–his own slumber. He says goodnight to every object in sight and within earshot, including the “quiet old lady whispering hush.” Clement Hurd's illustrations are simple and effective, alternating between small ink drawings and wide, brightly colored views of the little rabbit's room.